You know that little voice inside your head that says, “Go for it, you’ll be okay,” or that quiver in your gut that whispers, “Trust me. I know this will work out.” Some call it intuition while others refer to it as an “inner voice.” Roxanne Muir, our 2019 Faces of Sola stylist from Leaside, Canada knows that voice quite well. 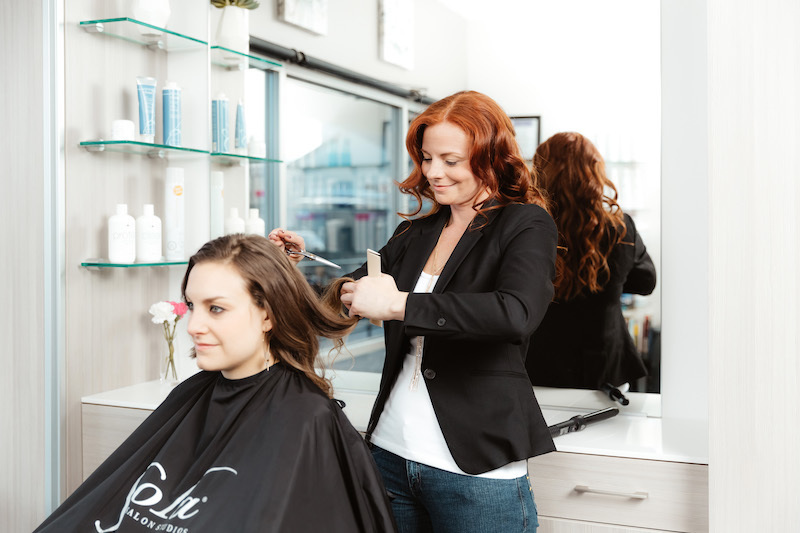 She’s had a few “leap of faith” moments in her life, including the biggest one of all—leaving a commission-based salon and becoming the first-ever Canadian Sola stylist. And try it she did. She trusted that “inner voice” and took that leap of faith to achieve greater success and independence. Today, she is one of our 2019 Faces of Sola and is just killing it in her Sola. Not all leap of faith moments happen on a whim. For example, Roxanne did her research on Sola before she signed her lease. She weighed her options and ultimately made a decision based on what would make the most sense for her to achieve next level success. “My theory on this,” she added, “is if you have passion and the math is in your favor, you can't go wrong!” A leap of faith doesn’t have to be blind faith. A leap of faith doesn’t have to be this grand swan dive off a cliff of the unknown. It can be a small step towards a greater goal. For example, let’s say that being an educator with a major manufacturer is your dream, but that would take away from building your clientele and business. You can take a small step and reach out to the manufacturer, do your research, and weigh your options to see if being an educator is really that demanding of your time. You can then make a one, three or five-year goal to achieve your dream while you build your business. It really comes down to mindset. “What if I do this and fail?” Well, what if you make sure you don’t fail by putting preventative measures in place to make sure that doesn’t happen. Everything has a risk associated with it—it’s how you look at the risk and ask yourself, “Can this risk be prevented,” and keep the mindset that you will achieve success.